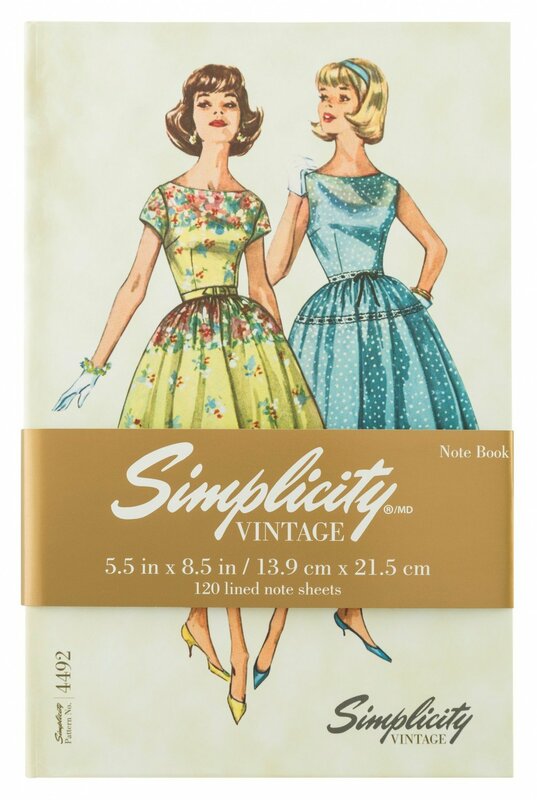 The Simplicity Vintage Hardcover Notebook can also double as a personal journal and makes a thoughtful gift for any sewing or fashion enthusiast. Designed with original Simplicity vintage artwork from our archives, the notebook contains 120 lined note sheets with a total of 240 pages. Size 5.5" X 8.5".